Info: 3 Bedroom, 3 Beachfront Home with over 1620 s.f. Marlin Key condominium home for sale in Orange Beach. Recently Remodeled Large Upscale 3BR/3BA. Detailed attention has been given to the cleanliness of this condo. With Direct Gulf Views from the Den/Kitchen and the Master Bedroom, this unit is the one! 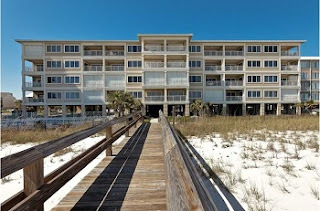 Marlin Key condominium is the most private complex in Orange Beach, AL. This condominium is a low-density building with only 28 units, with covered assigned parking, and a complete private beach!!! Fitted with Gourmet items and priced to sell, don't miss this one! It won't last long. Assigned Parking, Direct Gulf Front, Phenomenal Floorplan, Open Concept, Private, Clean and Motivated Seller!